Drawing on a wide range of primary sources, Lipton argues that these visual stereotypes were neither an inevitable outgrowth of Christian theology nor a simple reflection of medieval prejudices. 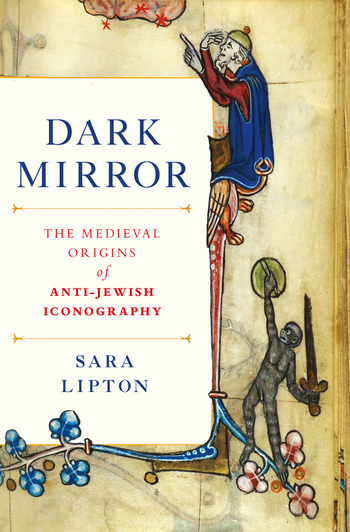 Instead, she maps out the complex relationship between medieval Christians' religious ideas, social experience, and developing artistic practices that drove their depiction of Jews from benign, if exoticized, figures connoting ancient wisdom to increasingly vicious portrayals inspired by (and designed to provoke) fear and hostility. Sara Lipton is an Associate Professor of History at SUNY Stony Brook and the author of Images of Intolerance: The Representation of Jews and Judaism in the Bible moralisée, which won the Medieval Academy of America's John Nicholas Brown prize. The recipient of fellowships from the New York Public Library's Cullman Center and the Metropolitan Museum of Art, her writing has appeared in The New York Times, The Los Angeles Times, and The Huffington Post.